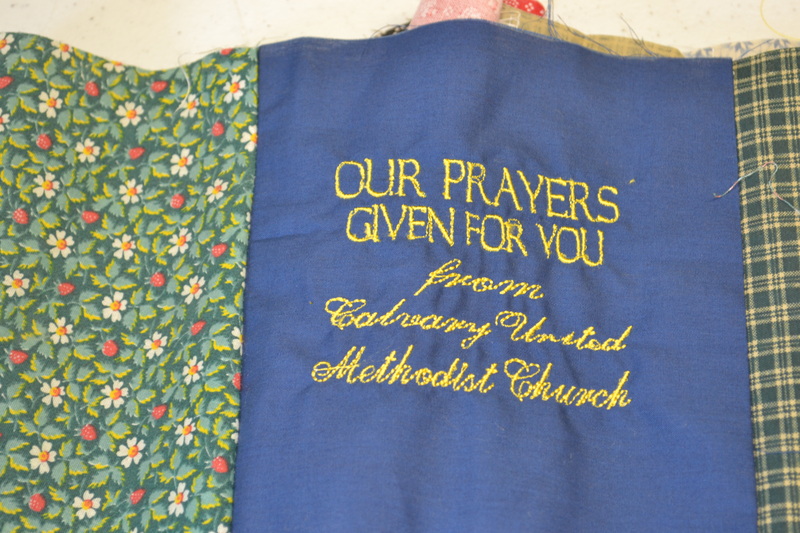 We make these quilts for people who are in need of prayer. 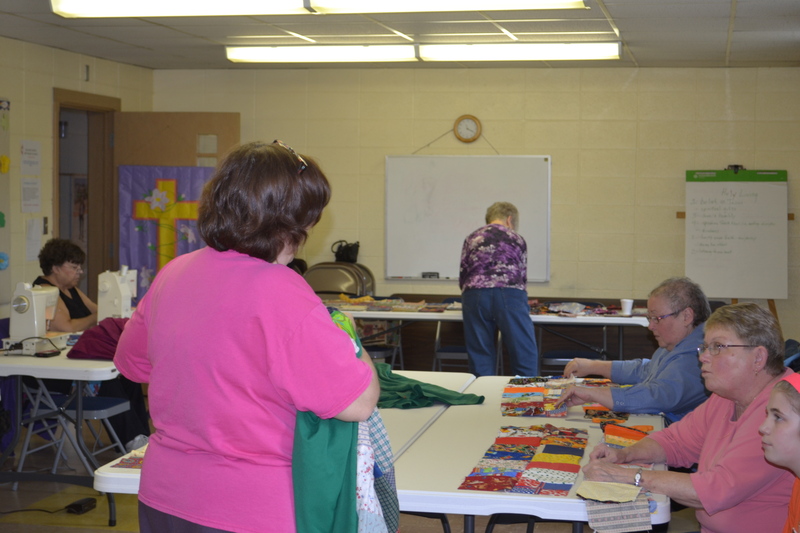 When the quilts are finished, there is a loose thread in the center of each square. 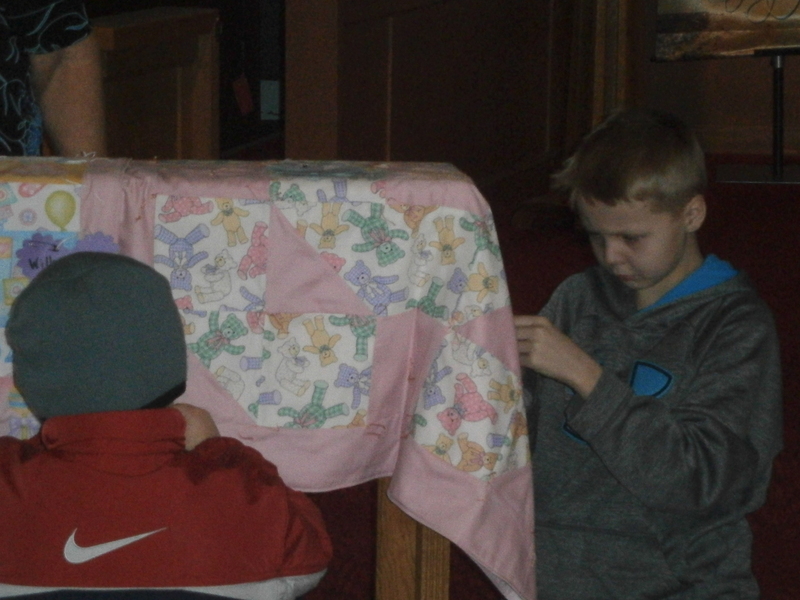 a prayer for the person who the quilt is then delivered to. people who have received them.